Jacob Jones | Colorado Mesa Univ. Jacob Jones, PhD, received his Bachelor of Science in psychology and criminal justice from Bluefield College and went on to earn his Master of Science in psychology from Radford University and his PhD in counseling psychology from Indiana State University. An assistant professor of psychology, Jones teaches Abnormal Psychology, Career Development, Sport Psychology, Theories of Personality, Psychological Interviewing and supervises the practicum for counseling psychology majors. He actively involves students in the learning process by endorsing a 'learning by doing' philosophy. Hands-on activities, guest speakers from the community and service learning opportunities are a regular part of his classes. Jones is also an active adviser for several clubs on campus. He was instrumental in establishing the first National Alliance on Mental Illness (NAMI) On Campus Club at MU, which is the first NAMI On Campus in the state. 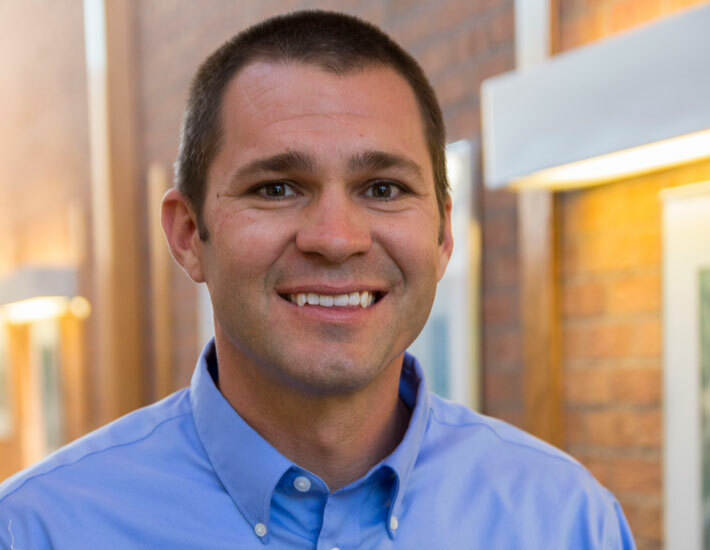 Jones is a private practice psychologist in Grand Junction where he provides sport psychology services and ADHD and learning disability assessment. In addition, he works with several sport teams and athletes at CMU as a sport psychology consultant. He has more than 10 years of experience providing mental health services in a variety of environments including hospitals, veterans affairs, community mental health centers, school systems, college counseling centers and university athletic departments. His main professional interests include sport and performance psychology, mental health, substance abuse and positive psychology. Furthermore, Jones is an avid outdoorsman and on days when he is not teaching or at his private practice seeing patients, you'll likely find him on a local trout river, fly fishing. Jones, K., Brewster, M., & Jones, J. (2014). The creation and validation of the LGBT ally identity measure, Psychology of Sexual Orientation and Gender Diversity. Jones, J. (2014). The relationship among alcohol use and college student athletes. Journal of Clinical Sport Psychology. Jones, J. & Fass, D. (2011). The effect of methamphetamine use on the psychosocial development of adolescents. In R.J. Levesque (Ed.). Encyclopedia of Adolescence. New York, NY Springer Publishing.